The Coast Guard reminds mariners that red and orange flares are recognized as marine and aviation emergency signals, and are to be used only during emergency situations. If a flare is used in a non-emergency situation, or fired by mistake, it should immediately be reported to the Coast Guard to prevent assets and personnel from searching for someone who is not in distress. 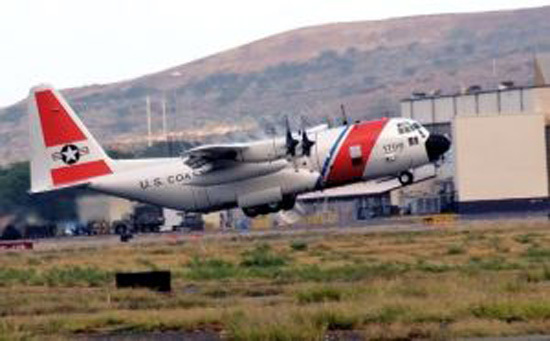 Coast Guard watchstanders at Coast Guard Sector Honolulu suspended a search based on a report of two parachute flares seen Tuesday in the vicinity west of Captain Cook, Big Island. Watchstanders received a report of two flares at approximately 7 p.m. Monday. An aircrew from Coast Guard Air Station Barbers Point launched an HH-65 Dolphin rescue helicopter and conducted a 35-minute search, followed by an hour-long search by a Coast Guard Auxiliary aircrew Tuesday morning. One fishing vessel was found in the search area, but showed no signs of distress. The search was suspended after no signs of any vessels in distress were seen or heard over the radio. This was the third search in a series of flare reports within the past four days. Thursday evening four orange flares were reported in the vicinity of Banyan Beach, south of Kailua-Kona. This was later determined to be a false alert. Friday evening, the Coast Guard received a report of one red flare in the vicinity of Kailua-Kona, Big Island, prompting a three-hour air search with a helicopter and a fixed-wing airplane. No mariners were found in distress in this case, and only one vessel was located in the search area. Title 14 U.S.C. 88 (c) makes it a class D federal felony, punishable up to 10 years imprisonment and/or a monetary fine, for anyone who knowingly and willfully communicates a false distress message to the Coast Guard or causes the Coast Guard to attempt to save lives and property when no help is needed. The statute also provides for a civil penalty of not more than $5,000 and holds the individual liable for all costs the Coast Guard incurs as a result of the individual’s actions. The cost of operating a Coast Guard Dolphin helicopter is approximately $9,855 per hour; the cost of operating an HC-130 Hercules aircraft is approximately $15, 202 per hour. In addition to the monetary cost, false alarms can also delay Coast Guardsmen and assets from responding to actual emergencies, should any arise.